A major bug has been identified in Apple's popular audio and video calling service FaceTime. The bug basically goes into motion when you make a call via the FaceTime app. As soon as a person makes a call, they can immediately start hearing audio from the receiver's end, even before the call has been accepted. Apple has said that it has noticed the issue and should be fixed via an upcoming software update. For now, Apple has suspended Group FaceTime calling which is a probably a precautionary step before the issue is solved. This is clearly a big privacy issue considering almost everyone with an iOS device tends to use FaceTime. While one can snoop-in on conversations, the FaceTime call does ring like it should, so it isn't completely intrusive. 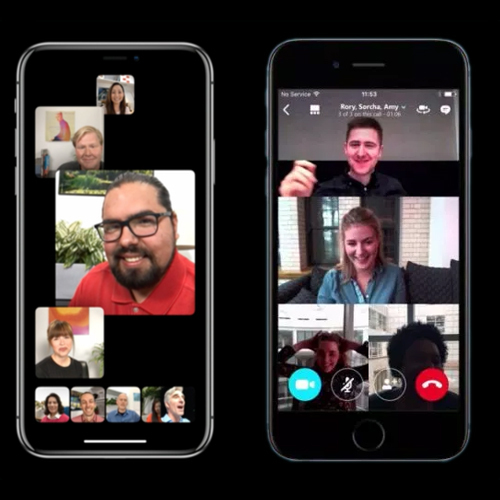 To test the issue, 9to5Mac made a FaceTime call using an iPhone X calling an iPhone XR and managed to produce the bug. They go on to say that the issue could affect any iOS device running iOS 12.1 or later and yes, one can "listen in to soundbites of any iPhone user's ongoing conversation without them ever knowing that you could hear them."